Bittersweet chocolate is chocolate that is produced without or nearly without milk. It contains a greater percentage of cocoa solids than does milk chocolate, as well as less sugar. Cane sugar lends bittersweet chocolate its reduced sweetness while its bitterness is due to the richness of alkaloids contained in cocoa beans. The term "chocolate" is derived from the Aztec word “xocolātl” which means "bitter water". Originating in Mesoamerica, cocoa was first brought to Europe in the sixteenth century by travelers who had discovered it when they saw how Aztecs in Central Mexico preparing a hot beverage from cocoa beans. Only around the year 1830, about two centuries after its introduction, did the Europeans find a way to solidify the liquid, sweeten it and thus produce the chocolate that we so love. 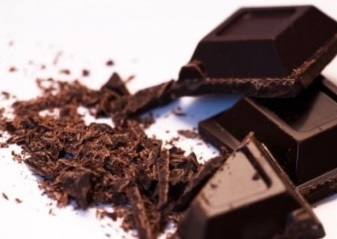 Research has found that, due to antioxidant flavonoids contained in cocoa, a moderate daily diet of bittersweet chocolate is beneficial to health, prevents blood vessel and cardiac disorders as well as high blood pressure, diabetes and other ailments. Note that bittersweet chocolate that contains at least 70% cocoa solids is best for your health (the other ingredients that comprise bittersweet chocolate are not so healthful).